Slots full of the joys of nature are always a hit with punters weary of yet another superhero-themed game – The Dark Knight slot blah blah blah - and slot developer NextGen Gaming’s 5 reel, 20 pay-line Butterflies is no exception. 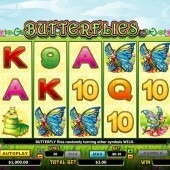 The developer behind the yeti-inspired slot, Bigfoot, and the mystery-themed game, The Bermuda Mysteries, certainly know a thing or two about atmosphere, and Butterflies certainly provides it in spades, even though they may have forgotten to install a bonus game. Lazy software designers, huh? They were probably having a few too many ciders when they were designing this slot. 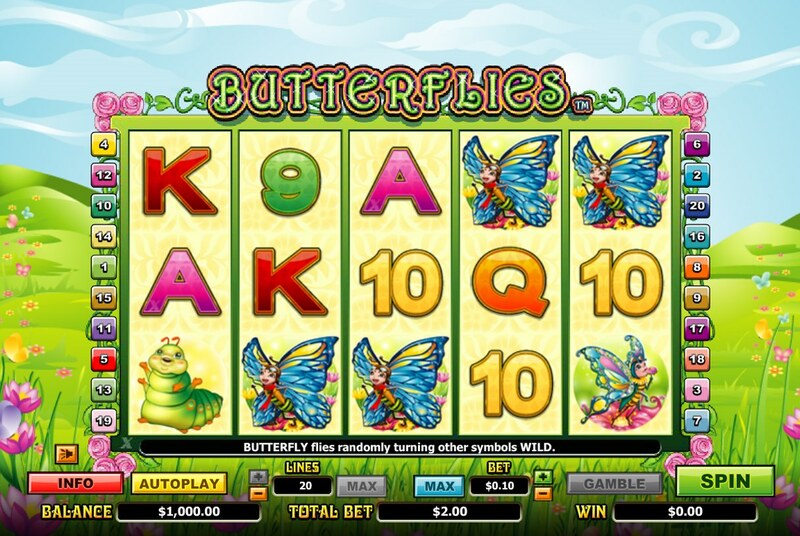 You know you’re in a slot full of summer themes, with green grass and blue skies dominating the game screen, while various butterflies, insects, toadstools and flowers fill the reels. The blue butterfly is the big payer here, five of which across the reels awarding a top payout of 7,000 coins. Look out for the Chrysalis icon, though, as it is the game’s key icon. It only appears on the first reel, but when it does a butterfly emerges to fly across the reels, turning other symbols Wild as it does. The Chrysalis icon is Wild in itself too, and substitutes for all symbols other than the Flower Scatter. Unfortunately the Flower doesn’t trigger any special bonus rounds, although a 100-coin jackpot can be won if you hit five Scatters across the reels. With only one ‘bonus’ feature to be had, slots fans more used to multiple bonus rounds will feel a little hard done by. Flowers, the summer-themed slot from NetEnt - offers a little more in the way of botanical bonuses with its free spins that carry a 3x multiplier. Elsewhere, Rival Gaming’s beautiful seasonal slot, Secret Garden, offers up a veritable cornucopia of great graphics, roses galore, and a nice soundtrack to boot. And they haven’t forgotten the bonus features, either. Are you reading, NextGen Gaming?